syndrome, ALS is a neurodegenerative disorder that results in motor neuron death, severe debilitation, and ultimately death. To date, there are few therapeutic options, with a median survival time from onset to death of around 39 months. In this study, Yang et al. derived motor neurons from mouse embryonic stem cells and performed a drug screen in the culture dish to identify novel molecules that might preserve or inhibit the death of motor neurons. The group found many different hits, but one molecule that showed a robust and reproducible effect on motor neuron survival in many of their assays was kenpaullone. This molecule is a GSK3-beta inhibitor, and the authors go on to show that in addition to this, it also inhibits HGK kinase in motor neurons. 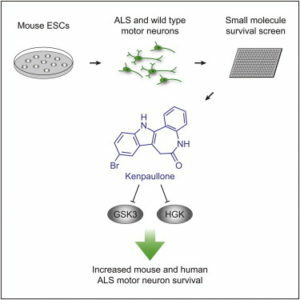 In addition to promoting the survival of mouse motor neurons, they also used human iPSC lines derived from ALS patients and showed a positive survival effect on human motor neurons. This new study demonstrated the power of pluripotent technology to search for novel drug candidates to use as therapeutics for debilitating diseases with no current cures. StemBeads FGF2. 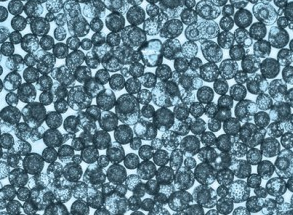 Many stem cell scientists who engage in stem cell culture have asked us to provide a smaller size of the StemBeads FGF2. This smaller size allows for a laboratory to test out the product at minimal cost. StemBeads FGF2 is a revolutionary growth factor supplement that offers a more efficient way to grow FGF2 dependent stem cell cultures. Already verified in some of the top stem cell labs in the United States, this supplement delivers a steady release of growth factor into your media of choice creating a more stable environment. This allows scientists to reduce the number of times they feed their cells from daily, to every 3rd day. Please note that 8 uls of StemBeads FGF2 are needed per 1 ml of growth media. The science behind StemBeads FGF2 has been published in PLOS ONE. Feel free to contact us should you have additional questions with regard to the science behind StemBeads FGF2, or any other questions about our products. It is our goal to make your research as a stem cell scientist easier, more enjoyable, and extremely successful. Click here to order a trial size of StemBeads FGF2 and start saving money, saving time, and grow better cells. Next week is 11th annual International Society for Stem Cell Research (ISSCR) meeting. This meeting is the largest forum for stem cell and regenerative medicine professionals from around the world. 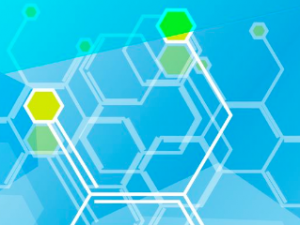 The meeting format consists of over 2000 abstracts and 150 speakers talking about their latest research, along with exhibits and vendors who provide stem cell reagents and tools. While this meeting has gotten bigger over the years, if you are in the world of stem cell research, you should be there. 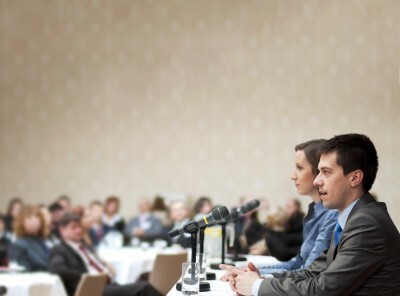 There are three things you should try to do when attending this meeting or any stem cell conference for that matter. Learn. Spend some time prior to the event looking at the abstracts and make a plan of attack. In many case, a lot of the data presented will either already have been published or be very close to it, so be sure to engage the speaker or presenter with follow-up questions. Even though you are in a public setting, it is still ok to be critical—after all, we are scientists, and that is what we do. In addition to learning about work in your own field, try to expand your mind a bit and read about work that might be outside of what you normally do. Sometimes it gives you great experimental ideas, as many of the approaches might be similar to yours, albeit in different contexts. Find New Products. One of the most fun things to do is to cruise the conference floor to visit with all the companies selling their products. Not only will you score some cool free stuff, but you may find some of the latest and greatest stem cell research tools out there. Even better, go ask questions about products you already use if something hasn’t been working properly or as advertised. Our company, StemCultures, will be there this year at booth number 506 talking about our StemBead products, like StemBeads FGF2. We like to have fun, so we will be giving away Mardi Gras beads to wear and a chance to win tickets to an open bar Friday night. Please stop by our booth. Connect. This really is the best part of the meeting. Make sure you try to meet as many people as you can. Go to the events, make new friends and potential collaboration partners, and widen your web of stem cell colleagues. we meet so many people this way, and going to ISSCR every year allows us all the chance to be in the same place talking science and having fun. Looking forward to seeing you all out there. If you have other recommendations or approaches that you use to get the most out of the stem cell conferences you attend, please reply to this post below. Stem cells are unique in that they, like humans, possess the ability to choose. “To be, or not to be,” is appropriate, as stem cells must decide if they want to maintain themselves as a stem cell, or turn into another cell type. Just like us, many factors influence this decision, and one of the major ones is the protein fibroblast growth factor 2, also known as FGF2. FGF2 eliminates this decision for stem cells, by forcing them to maintain the stem cell state. In vivo, stem cells exist in a highly organized niche, where factors like FGF2 are maintained at constant levels to ensure stem cells are kept in the undifferentiated state. In stem cell culture, there is tremendous value for keeping stem cells in the undifferentiated state. The ability of stem cell to differentiate into multiple cell types is directly proportional to their level of “Stemness”. The more undifferentiated stem cells are, the more efficient they will be in generating progeny. In cell culture, scientists try to mimic the in vivo niche by adding soluble FGF2. When FGF2 is not present or withdrawn from cell culture strategies, stem cells now are able to “think” and start differentiating into other cell types. In some paradigms, researchers add fresh FGF2 every day, that means coming on Saturdays and Sundays to just maintain adequate FGF2 levels. Recently, data from our lab showed that adding FGF2 every day might not be enough. When we looked at FGF2 levels in stem cell culture, after 10 hours in culture, no more FGF2 was left. When we graphed this over the course of one week, FGF2 levels looked like a roller coaster ride, starting high, going low, then spiking back up, before rapidly decaying again. This result was extremely interesting, and very important because it proved that the current standard stem cell culture techniques using FGF2 were far from optimal. In any given 24-hour period, where stem cells are without FGF2 for greater than half that time, they start to drift away from the stem cell state and begin the differentiation process. To address this problem, our group came up with a way to keep FGF2 levels stable for at least 3 days in culture. When we did this, we found that stem cells were maintained better in the stem cell state, and eliminated some of that “drift” and spontaneous differentiation. This new product, StemBeads FGF2 allows for a savings of time, money savings from the use of fewer media changes, and most importantly, facilitates the growth of better cells. 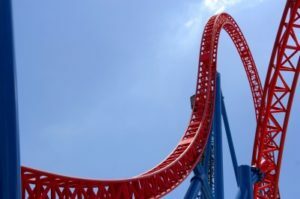 So, while a lot of us enjoy the ups and downs of a roller coaster ride to get our adrenaline pumping, ups and down of FGF2 levels in standard stem cell culture techniques are far from optimal, and a paradigm shift may be in order.